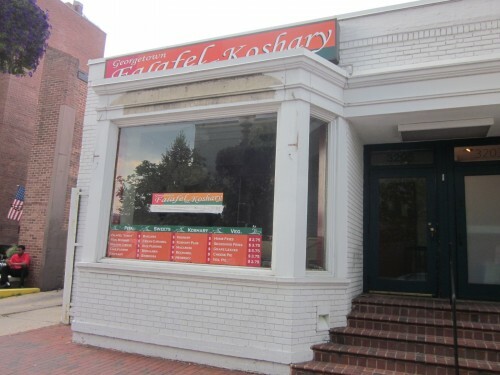 Back in March we learned that Georgetown Falafel and Koshary was moving into the former Prince Cafe space at 3205 Prospect St, NW. I hadn’t heard of Koshary [an Egyptian dish of rice, lentils, chickpeas and macaroni topped with tomato sauce and fried onion] but folks were pretty excited about the potential. Unfortunately the potential was not met as they got thrashed on yelp and closed last week. Has anyone tried the koshary at Astor Mediterranean in Adams Morgan?